A Sabal Trail pipeline protester is dead following a chase that began in Marion County and ended in Citrus County. Citrus County deputies are currently on scene at a crash site on U.S. Highway 41, just south of Floral Park Drive, Floral City. 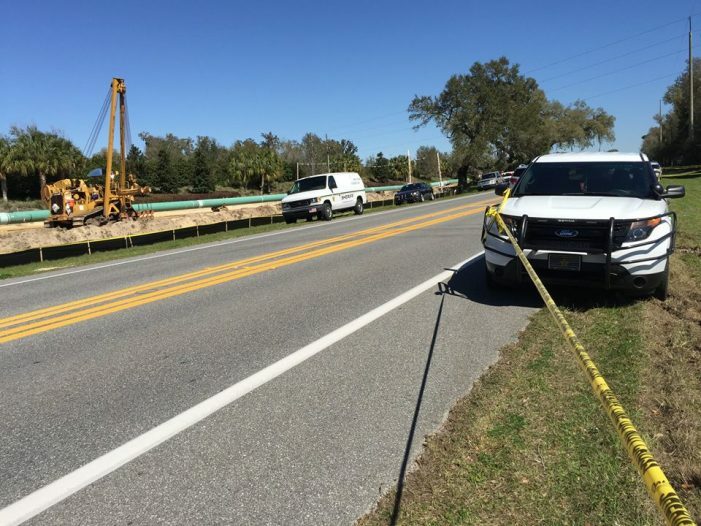 At approximately 9 a.m., the Marion County Sheriff’s Office received a call about a person who was shooting at Sabal Trail pipeline equipment as well as the pipeline, located on Highway 200. The caller stated that the shooter was using a high-powered rifle. Officials said the shooter fled the scene, at which time a high speed chase began and led into Citrus County. Citrus County, Marion County, and the Florida Highway Patrol were involved in the pursuit. According to reports, the suspect crashed along the road adjacent to Floral City Park. Citrus County officials sad that the suspect engaged deputies and that the suspect was shot and killed. Officials did not go into detail as to how the suspect engaged the deputies, but did say he was armed. 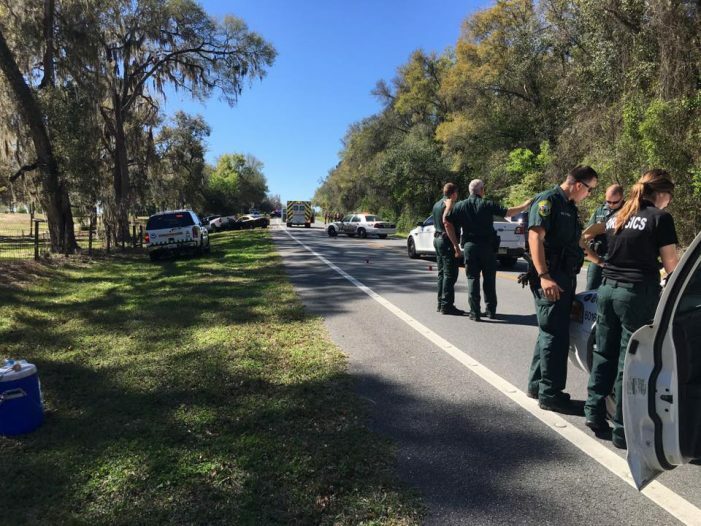 All deputies involved in the shooting have been placed on administrative leave pending the outcome of a Florida Department of Law Enforcement investigation. Last week Marion County deputies arrested two protesters who climbed into the pipeline and had to be removed by the fire department. More details will be released as they come in.